Space Images | Going Rogue? 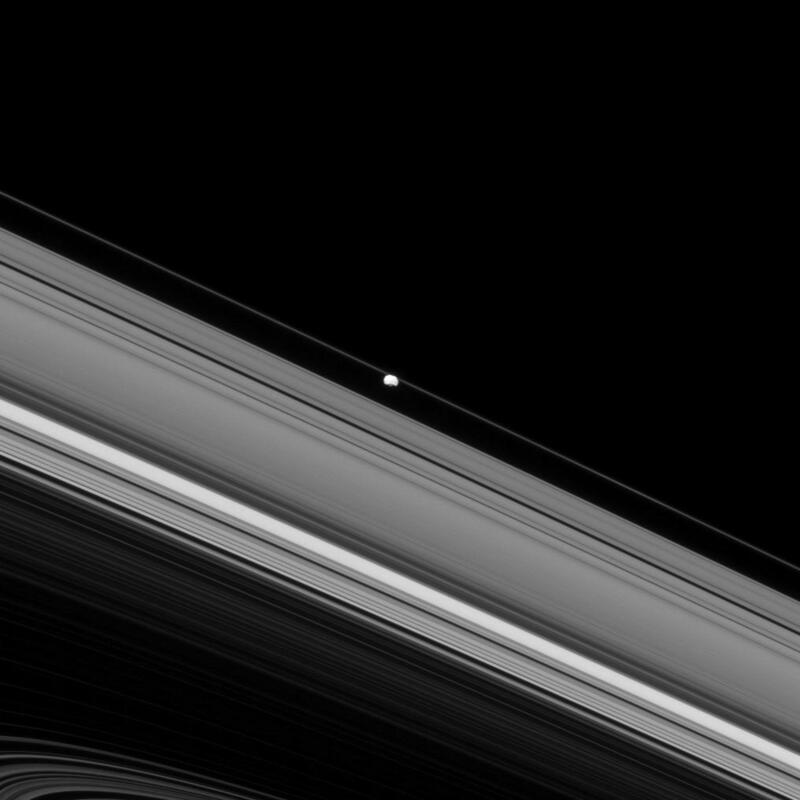 Although Epimetheus appears to be orbiting between the A and F rings in this image, it's just an illusion! 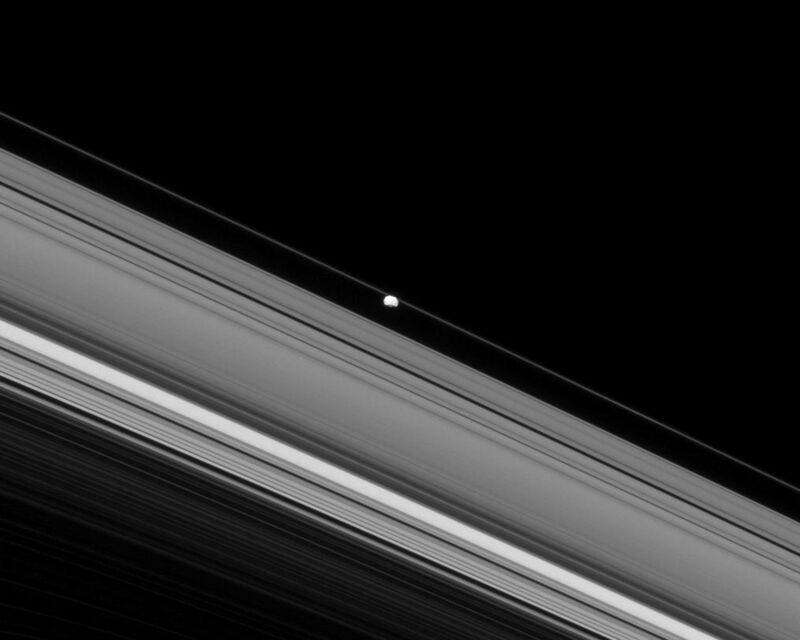 Epimetheus, which orbits Saturn well outside of the F ring's orbit, is actually on the near side of Saturn to Cassini while the rings seen here are on the far side of the planet. Whew, that's a relief! This view looks toward the unilluminated side of the rings from about 3 degrees below the ringplane. The image was taken in visible light with the Cassini spacecraft narrow-angle camera on April 15, 2013. 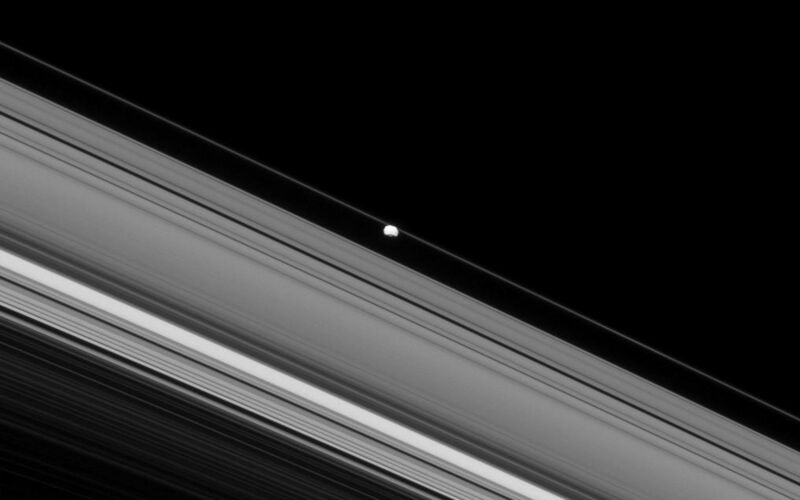 The view was acquired at a distance of approximately 700,000 miles (1.1 million kilometers) from Epimetheus and at a Sun-Epimetheus-spacecraft, or phase, angle of 30 degrees. Image scale is 4 miles (7 kilometers) per pixel.